Opening day of Asia Poker League’s – APL Ho Chi Minh City – Road Series Vol.3 did not disappoint with 154 total entries attending the inaugural DeepStack Open Main Event. This was the first time the APL And DSO joined forces bringing Asian players a taste of the European tour. Flight A drew in 136 entries and Flight B turbo saw 18 entries. From the start, many notable players were in action such as Iori Yogo, Le Ngoc Khanh, SJ Kim, Natalie Teh, Lim Yohwan, Feng Zhao, Huy Coshet, however by the end of the scheduled 13 rounds, most were missing in the 31 player round up. Successfully navigating to the very top was Vietnam’s own Nguyen Van Trung trailed closely by Singapore’s Norbert Koh. Taking a closer look at the overall chip leader, Nguyen Van Trung may not be a familiar face in the live tournament circuit but after today, players will be keeping a tight watch on him. Trung racked up a dominating stack halfway through the day and continued to pile it in until the final buzzer. He amassed 394,000. In second rank was a player seemingly the direct opposite of the leader, poker pro Norbert Koh. Unlike Trung, Koh is a very familiar figure in the Asian circuit, especially in Vietnam where he has enjoyed multiple deep runs throughout the year. At the DSO, Koh shipped a double up late in the day with A-K over A-J to send his stack zooming into the upper tier. He closed with 380,500. Both Trung and Koh were the only two players to reach the 300k marker. Among the notable players also making it through were Vi Khoa, Tzai Phua Wei, Pham Bao, Nguyen Quoc Vu, and Steffen Endres. All of these players along with everyone in the list below will be returning on Friday, November 16 for the race to the inaugural DSO Vietnam title. Only the top 20 places will earn a piece of the VND 1,344,420,000 (US$57,680) prize pool with the eventual winner claiming the VND 361,340,000 (~US$15,490) first prize. You can read up on the day’s action in our Live Updates. 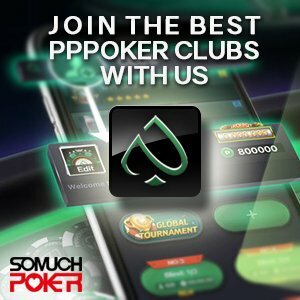 Somuchpoker will continue to bring you full coverage of the APL Ho Chi Minh City festival so stick with us for all the latest updates and stories.